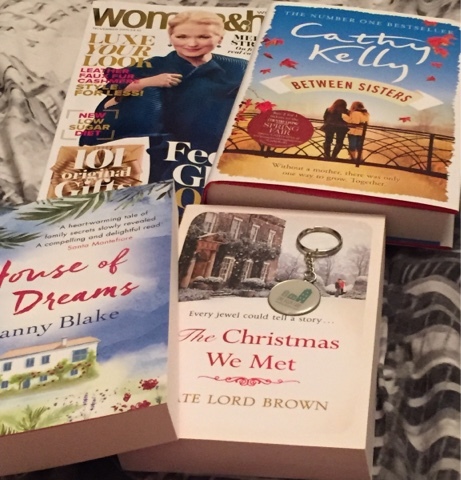 I've got a whole heap of fabulous books to show you today, I'm a very lucky blogger who has been sent some fabulous books over the last week-all this in a week! how fortunate am I? 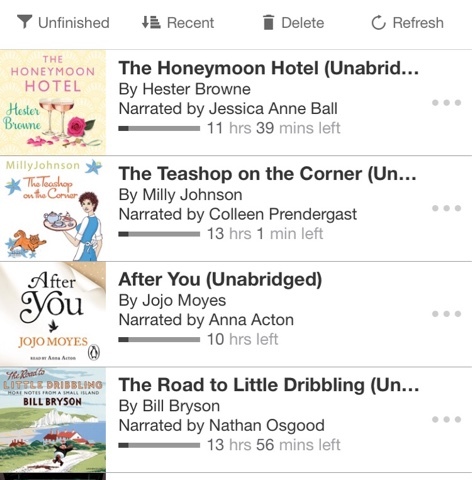 I also purchase some more audible credits this week too as I am listening to lots of audiobooks as I sit in traffic on the m4 each day! 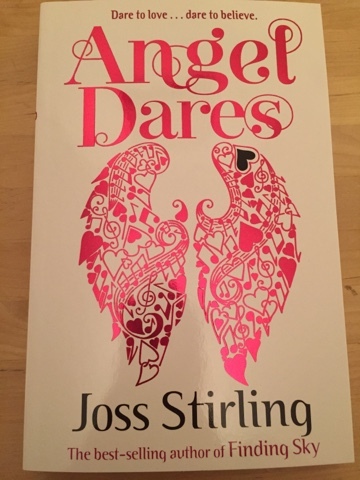 Firstly I was sent the latest Joss Stirling novel by the lovely people at OUP. I can't wait to read this as I've ploughed my way through her previous books and loved them! 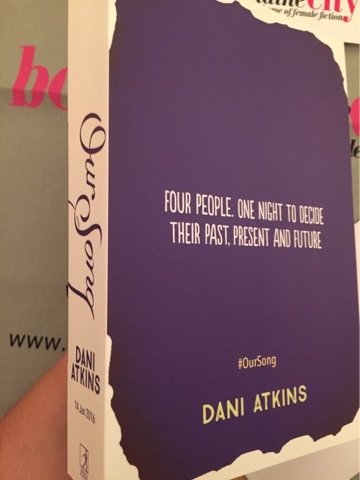 I also got sent a beautiful proof copy of Our Song by Dani Atkins which sounds rather epic and is out in January! As you'll have seen from my post of Thursday, I attended the launch of Cathy Kelly's new novel Between sisters which was released on Thursday in all it's autumnal glory. The lovely folks at Orion gave me this goody bag containing not only that book but Fanny Blakes new novel House of Dreams and The Christmas we Met by Kate Lord Brown. Down forget to check back to that post and enter my giveaway to win a signed copy of Between Sisters! 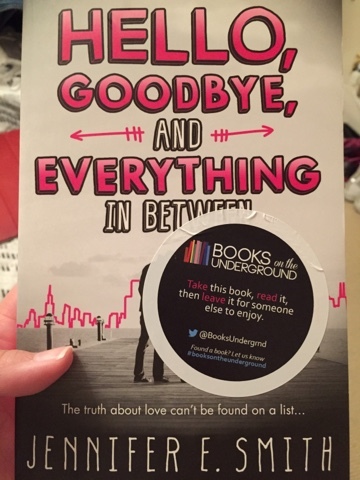 While I was at that event Zarina, fellow blogger, gave me a copy of a Hello, Goodbye and Everything in Between by Jenmifer E Smith. I have all her other novels so now I have a complete set. Thanks so much to Zarina for this one! On Friday I received this fabulous Duet of novels which sounds intriguing. 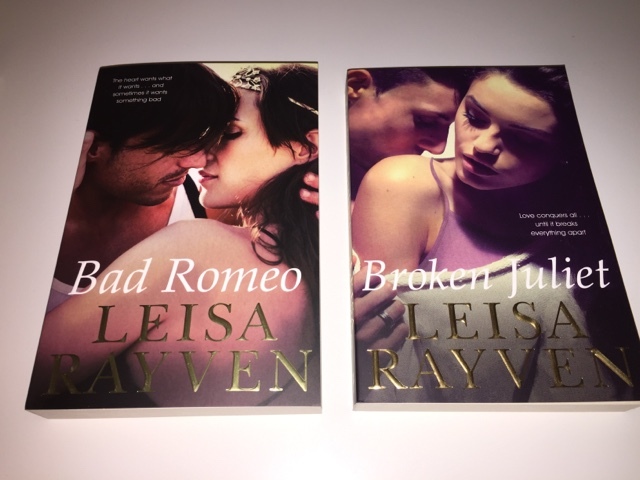 Bad Romeo is already out and Broken Juliet by Leisa Rayven is out next month! I'm not heard of these before but they're going on my TBR! 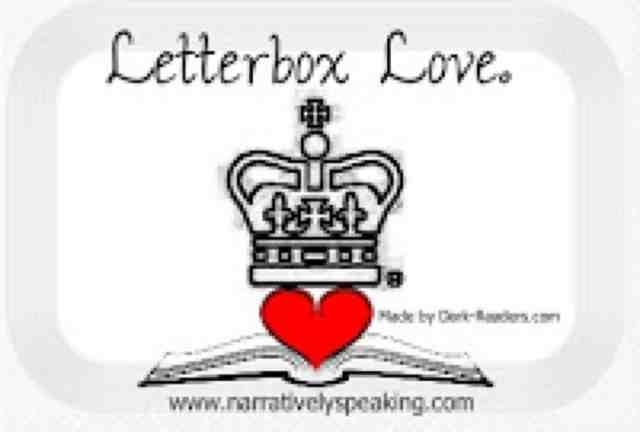 I was also sent 5 novels to read by The Romantic Novelists Association and I am very excited about some of these. I have already read Always a Bridesmaid by Lindsey Kelk and The Love Shack by Jane Costello and I already own Afternoon Tea at The Sunflower Cafe by Milly Johnson but I really really wanted to. 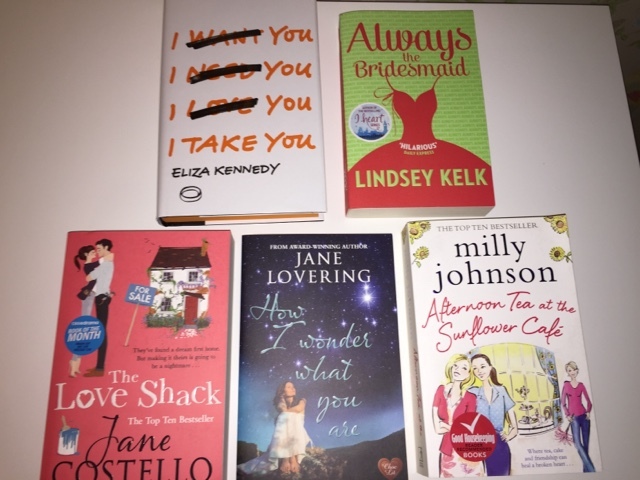 Read I Take You by Eliza Kennedy, it sounds really funny and I'm definitively going to make it my next read and How I Wonder What You Are by Jane Lovering sounds very intriguing so I'm looking forward to getting stuck into this one! Finally, I got some audiobook credits because I fancied listening to some books that I have sitting on my shelf right now I'm audiobook form because I would get round to read them quicker. Firstly I just had to have The Road to Little Dribbling because, as you know, I am a massive Billy Bryson fan and so I had this one on pre-order for this release this week. I also have After You by Jojo Moyes on my Kindle but I really wanted to get into it ASAP and I'm currently reading something else on my kindle so I decided to get it on audiobook and am well into it already. Funnily enough I also read Me Before you, my First Jojo Moyes experience, on audiobook so it only seems right. Finally, audible were having a buy one get one free sale and I really wanted to read The. Honeymoon Hotel by Heater Browne and so I got that and got The Teashop on the Corner by Milly Johnson, which has been sitting on my shelf waiting to be read for a while now, for free! What a lot of absolutely gorgeous books I have to get through! It's a good job I have a readathon and a long flight to the states coming up in the next month isn't it? I'm going to be busy!